These specially recorded MP3 are designed to be listened to on a daily basis when you return from work, school, or any other stressful situation. You will find yourself gradually reducing the levels of stress and anxiety that is created by your situation. And eventually, you will be able to instantly reduce your stress level while you are in the stressful moment. 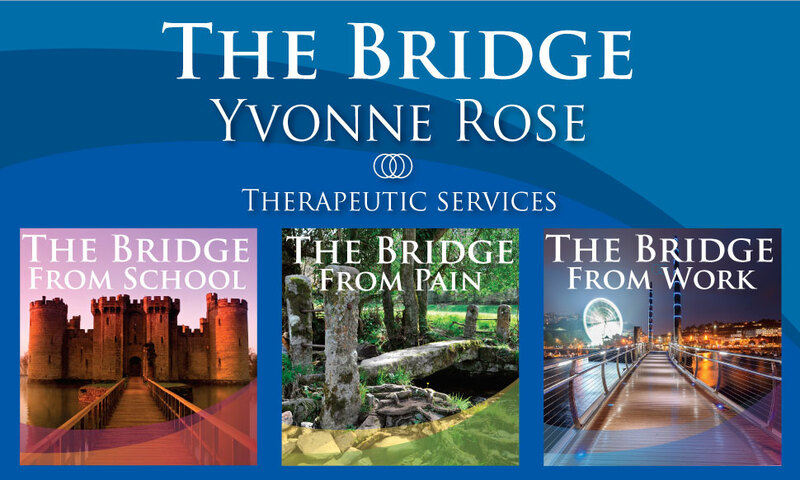 Yvonne has herself experienced stress at work and through that developed a true understanding of the physical ramifications that such stress can bring and the need to change one’s approach to the workplace. In addition to creating her MP3 The Bridge, she created a 3 hour workshop entitled Stress in the Workplace. Currently she works for an Employee Assistance Program company where she helps many people overcome their work issues.